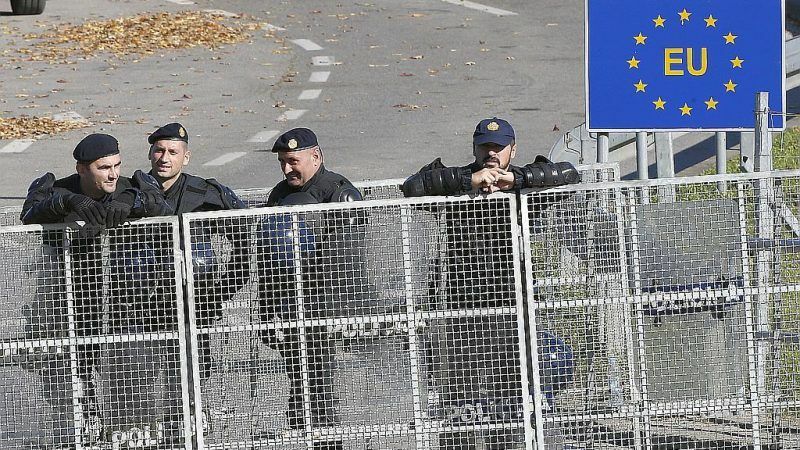 Croatia’s ombudswoman requested access to records on the treatment of migrants at the police station in Donji Lapac, central Croatia, in September but was refused. The relevant parliamentary committee does not seem to care either. EURACTIV Croatia reports. Donji Lapac police officers monitor the border section with Bosnia-Herzegovina, a sparsely populated mountainous woodland that migrants frequently choose to try to enter Croatia. Croatia lies on the so-called Balkan route used by migrants to reach Western Europe. The old route led from Greece through Macedonia and Serbia to Croatia or Hungary and has largely been closed. Since early 2018, however, refugees are trying to reach Croatia via Bosnia-Herzegovina instead. When ombudswoman Lora Vidović arrived for an unannounced visit to the police station in Donji Lapac in September, she did not expect to return to Zagreb empty-handed. Several laws and international conventions give the ombudsman, the official authorised by parliament to oversee the protection of human rights, the authority to request information and documents from any public authority, including the police, in case of suspected violation of human rights. Those bodies and institutions are obliged to provide the requested information without hindrance or objection. However, the only thing the officers at the Donji Lapac police station told her was that “there is an ongoing crisis with migrants and the police are acting in line with the law”. When she asked to see the station’s records on the treatment for migrants, the assistant station commander refused to give her access to the database. It was just one in a series of events that illustrate the way the police block the ombudswoman and her co-workers from inspecting police records on the treatment of migrants. “The issue is, in fact, much broader than the treatment of migrants by the police”, said Vidović. Last March, she requested the state attorney’s office (DORH) to investigate police conduct in the case of the death of Madina Hosseini, an Afghan girl at the Croatian-Serbian border last December. A session of the Parliamentary Domestic Policy and National Security Committee devoted to the issue was held. Vidović, together with UNHCR representative for Southeast Europe, Giuseppe di Caro, and representatives of various organisations aiding migrants, provided detailed information on the illegal procedures employed by the Croatian police against migrants, as well as the police cover-up of such practices. After the session, the Committee adopted only vague conclusions. The police continued to hide behind the phrase “acting in line with the law”. In October, the Parliamentary Human Rights Committee held a session on this issue, too. This time, Vidović presented a more dramatic report, voicing her suspicions that the police were violating migrants’ right to international assistance. She said the police were grossly violating her authority to obtain information, thus breaking laws and international conventions. She also warned of the problem in her sharply worded annual report for 2017. Despite all that, the Sabor remains reluctant to initiate the mechanism of parliamentary oversight of the police treatment of migrants and evasion of their legal obligations towards the ombudsman. Vidović said that, given the parliament’s inaction, she would now have to turn to the Council of Europe and the EU. Controlling the legality of police work is the responsibility of the Parliamentary Domestic Policy and National Security Committee. Its chairman Ranko Ostojić (Social Democrats) — a former interior minister who became a symbol of a humane approach to migrants during the 2015 refugee crisis — has been unusually quiet about the situation. Asked if his committee had plans to initiate direct oversight of police conduct, request data and camera recordings that the police had refused to give to the Ombudswoman, Ostojić said it was “unacceptable for the police to deny the information to the Ombudsman”. “It only supports the suspicion that the migrants’ rights are being violated. If it is not given to the Ombudswoman, does it mean that it would also be denied to the National Security Committee if requested?” he wondered. However, he did not say if steps were being taken to put in place direct supervision of police work.